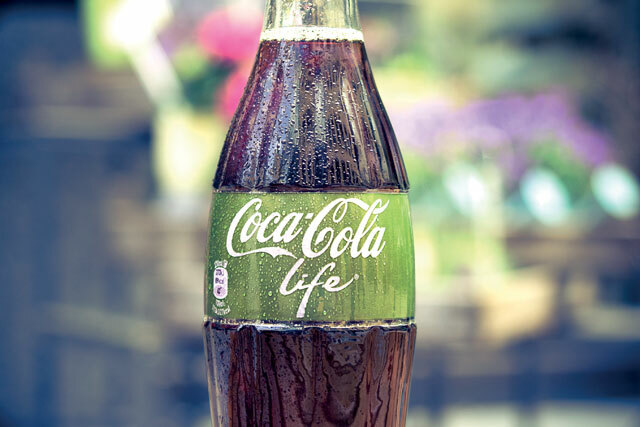 Coca-Cola is axing Coca-Cola Life, the version of its flagship product made with a mix of sugar and stevia, from June. It is being phased out because sales of its sugar-free versions, Coca-Cola Zero Sugar and Diet Coke, have overtaken sales of the regular Coke for the first time. Coca-Cola is also looking to minimise the financial hit it is set to receive when the "sugar tax" comes in next spring. The soft drinks levy will charge soft drinks manufacturers a fixed amount for every litre of sugary soft drink they package for sale. There will be a higher rate charged for drinks with eight or more grams of sugar per 100ml of drink – including classic Coke – and a lower rate for those with between five and eight grams, which would have included Coke Life. Coca-Cola Life contains 55% less sugar than original Coke. It launched in September 2014 and brought in supermarket sales of £26.5m in its first year, but this slumped to £14.1m the following year. At the end of 2016, the company reduced distribution to selected retailers and ended production of most pack sizes. Since launching last June, Coca-Cola Zero Sugar has achieved sales of £115m, 45% higher than Coke Zero – the product it replaced – managed in the equivalent period the previous year. Combined with the more established Diet Coke, this means that 51.2% of Coca-Cola’s supermarket sales now come from the sugar-free versions. Coca-Cola Great Britain general manager Jon Woods said: "As we look to drive no-sugar sales even more and make it clearer for consumers to differentiate between sugar and no-sugar options now feels the right time to phase out Coca-Cola Life from the UK market and focus on our three leading and iconic cola variants."